All successful players know how to manage their thoughts and emotions. It is an art which once understood, is easy to use and often makes the difference between success and failure. When a rugby player is in the zone, the light is bright, and everything clicks. 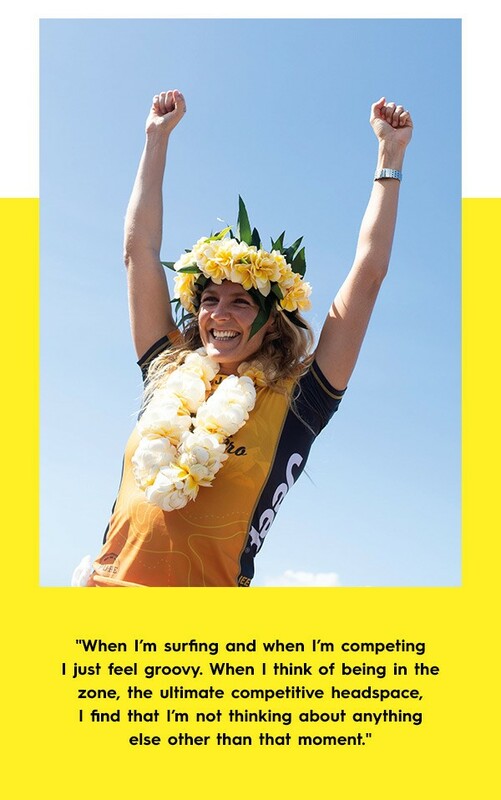 I agree with 7-time World Surf Champion, Australian Stephanie Gilmore’s comment about performing in the moment. Australian surfer Stephanie Gilmore is a 7-time World Champion. Over the weekend, IRANZ staged its first-ever rugby combine here in NZ. Mental Toughness is one of the modules and areas evaluated during the 3-day Combine programme. Evaluating an individual’s mental strength is a contentious subject, but one IRANZ holds a great deal of experience. We have been teaching mental toughness, or mind management techniques for 17 years now and have found the mind is like a muscle. The more we exercise it, the stronger it becomes. It’s a mystery why so few coaches and players respect the importance of mental performance in rugby, despite the fact it is so well documented. Mental skills has been a core segment on all IRANZ Courses since the Academy’s birth in 2001. Long may they continue!